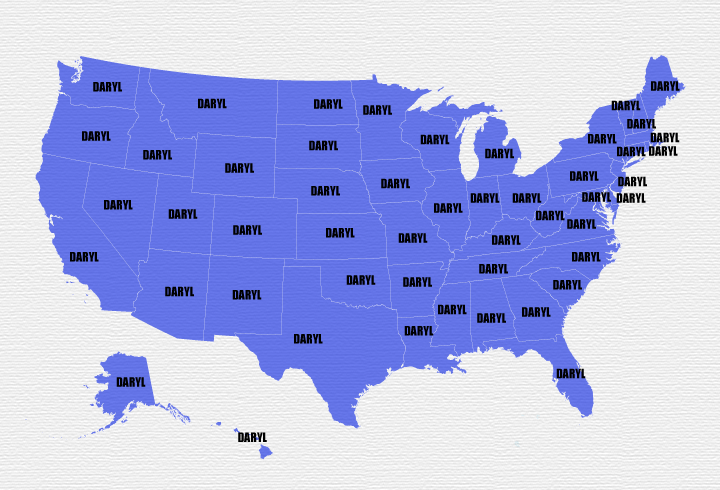 Daryl is actually more popular in EVERY STATE. Apparently the quiet, reserved badass with either an endless supply of arrows or a 100% recovery rate is America’s golden boy. And it wasn’t really even close. Daryl’s Disciples outnumber Rick’s Rooters at a ratio of 1.46 to 1. 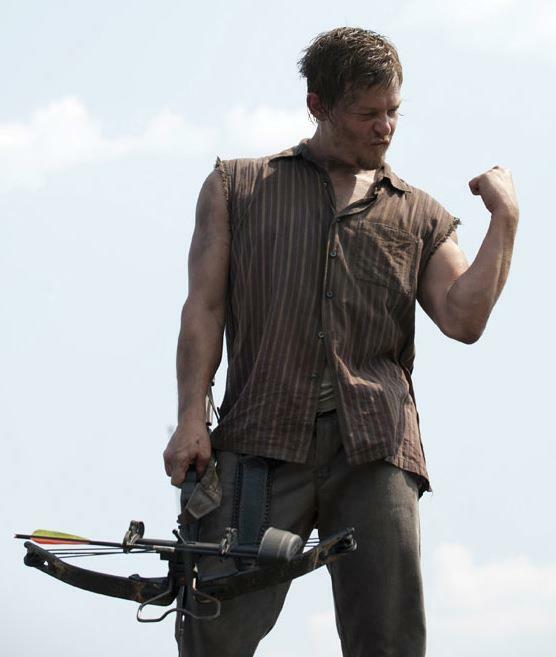 This means that in a pool of 1000 people, you can expect about 594 to support Daryl and 406 to support Rick. Suffice it to say, CNN would be calling this race with confidence pretty darn early. 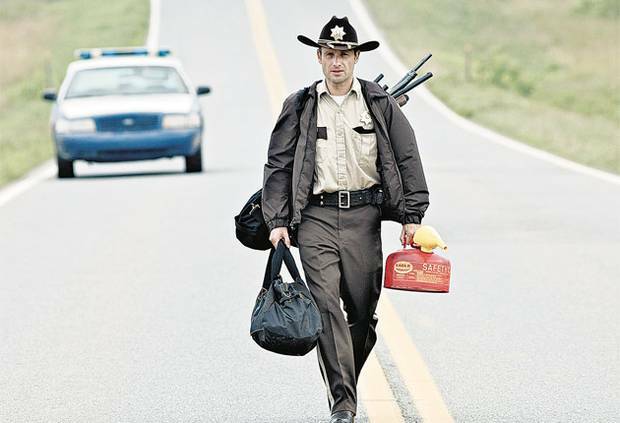 Rick Grimes performed best in Hawaii, where Daryl is only 18% more popular. And where did he fare the worst? Montana, where Daryl Dixon is almost twice as popular (97.80% more popular to be exact). Wait, Rick. Rick! Where are you going? Rick!? I hope that road leads to Hawaii, for Montana’s sake. So what was our methodology? Pretty darn simple. 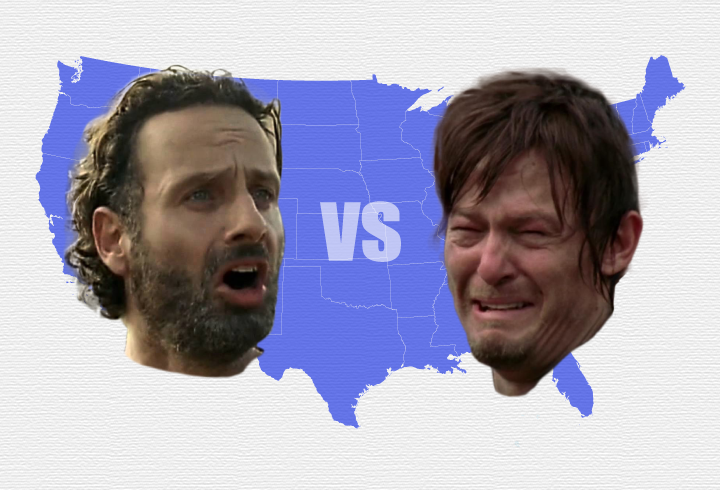 We collected the number of people Facebook categorizes as interested in “Rick Grimes” and sorted them by state. We did the same for “Daryl Dixon” and then we crunched some numbers, made some simple maps, and the rest was internet history.